Shoreham Hotel, Ocean City MD. 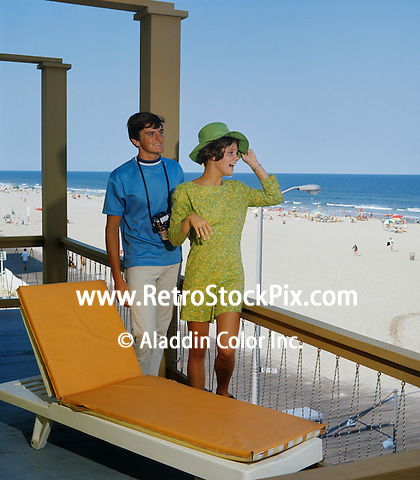 Couple on the balcony overlooking to ocean. Woman holding her hat so it doesn't blow away.